What is Cream of Tartar? Why is It Used in Food? We know the tiny white cubes of salt we shake over our food is sodium chloride. We know the sugar we spoon into our cereal (assuming that’s not already been done for us) is sucrose. But what in the world is cream of tartar, and how why to we put that in our food? Cream of tartar is a by-product. What is it a by-product of? 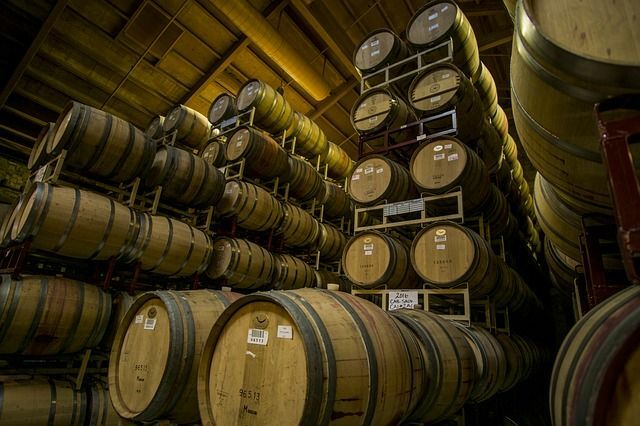 The fermentation of wine. It often settles out in the cask and sometimes in the bottle. Cream of tartar’s common technical name is potassium bitartrate. Sometimes it is called potassium acid tartrate since only one of its two available acid groups is neutralized by potassium (red circle), leaving the other acid group unreacted (blue circle). See the diagram. Its acid group, is a carboxylic acid group, written in its simplest form –COOH. The other carboxylic group has formed the potassium salt. So the molecule, overall, is an acid-salt. Hence potassium acid tartrate. 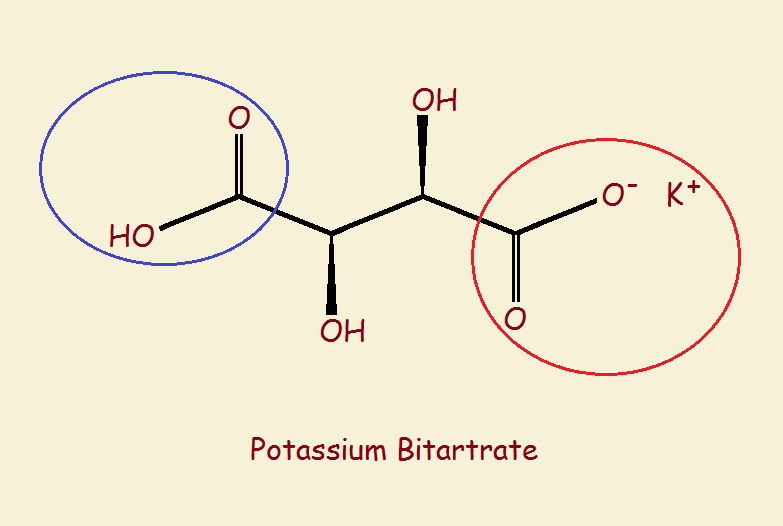 The name bitartrate contains the prefix bi-, which means two. That is two carboxylic acid groups. Sometimes we look at a byproduct as waste. Perhaps that is more the human perspective than what is actually the case. For instance, in logging to produce boards, stripped bark is a byproduct. It is not mere waste, since it can be used for multiple purposes, including as mulch. Most home cooks know cream of tartar is one ingredient in baking powder. It is a natural, mildly acidic ingredient that reacts with mildly alkaline baking soda to release carbon dioxide gas bubbles that enable a baked good to rise. Another use for cream of tartar is in the making of meringue pies! Egg whites are whipped with sugar. However, a small amount of cream of tartar can be added to prevent beads of moisture forming on an otherwise beautiful meringue. How so? 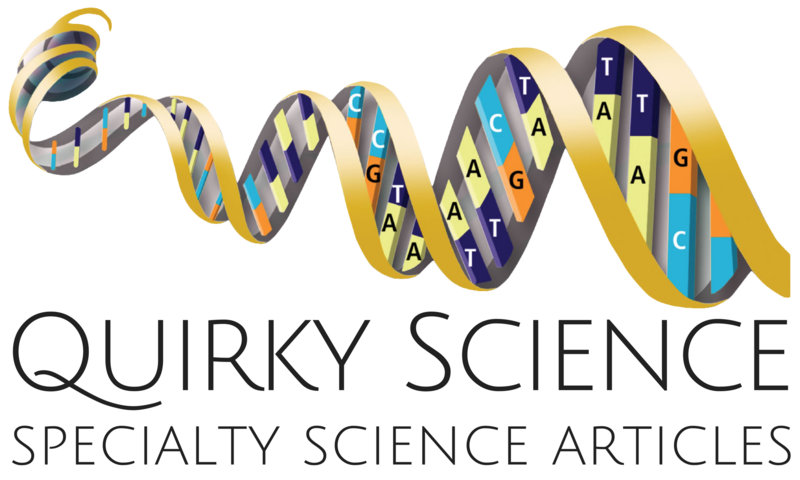 Egg whites are rich in sulfur-containing proteins. Whipping breaks these proteins up into smaller units that entrap air and moisture. However, the partially broken sulfur bonds ‘want’ to re-form. If this happens, entrapped water, and air is released, which causes the meringue to sag and develop beads of moisture. Cream of tarter inhibits this. Another cooking gem: add a small amount of cream of tartar to decrease discoloration when boiling fruits or vegetables. Mild acids tend to lower surface pH. This inhibits oxidation, which can discolor foods. I love learning about the science of cooking! Prussian Blue – The Traditional Blue of Blueprints: Its Chemistry?